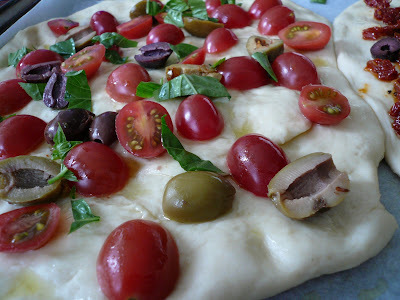 That looks so delicious - foccacia is always my fav when I visit a bakery. We don't get it most of the time. Looks good Gert. The first picture kinda look like cherries on some kind of bread (dessert). Yet another good & easy recipe. Gert, I love this delicious recipe of yours. I must try it. Should I get plain olives or with spices? Must it be green olives or black will do? Gert..5 star for you! !.This recipe look easy to me.Can I replace cheese and meat for topping a version of pizza?.I never bake this kind of luxury bread.Hubby crazy for pizza. 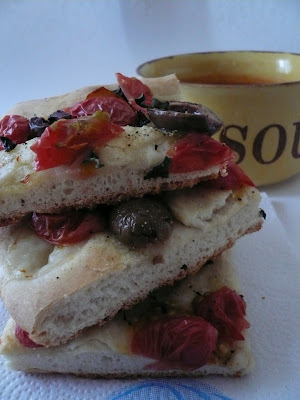 have been looking everywhere for foccacia recipe. may I not, how many grams is one envelope of instant dry yeast.-because in Malaysia- one env is 11grams. Gert, it's so nice to be living abroad - you get the freshest ingredients ever! I can only dream of planting my very own herb garden. Has anyone tried it yet in Malaysia? Boo, thanks for stopping by. You cake bake it yourself. Is easy. Zue, is really delicious to eat it with soup. You can use any kind of olives. Beachlover, you should make it for your hubby. He will really sayang you. You can put any kind of topping but remember this bread is much thicker than the pizza. DrNo, one envelope of dry yeast here is 7g. Pinky, there are pros and cons living abroad. We can plant lots of berbs here and get fresh ingredients but is hard to get fresh Asian ingredients :) You can plant fresh herbs back home but remember to put it at a shady area. Let me know if you need some seeds. I will mail it to you. Slurrrrrrrrrp! Another goodie for my list of Gert's recipes to try out! Thanks, Gert. it's very hard to get the herbs here. yesterday I made a rosemary chicken (jamie oliver's)- but couldn't get fresh thyme, neither in TESCO nor JUSCO, so have to make do with dried thyme. do u think we can plant it here in malaysia??? 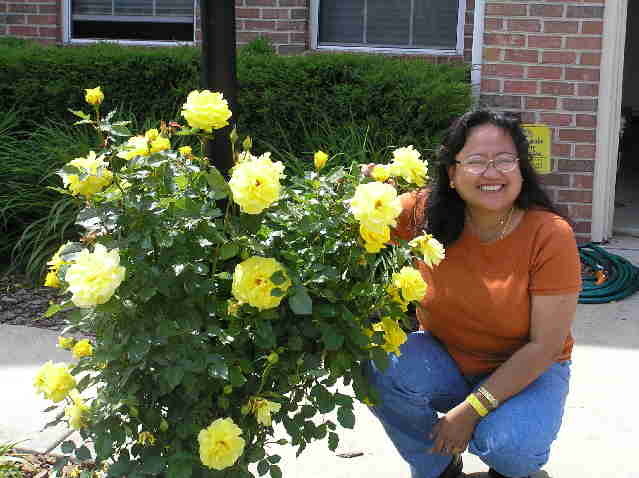 it's very hot here, may be in Cameron highlands..
Rita, your roast chicken looks really good. drno, back in malaysian I used to plant oregano and thyme and it grown really well. Not too sure about basil because basil don't like too much sun. Maybe you can plant it at a shady area. Hi, you used cup as a form of meansurement for this bread, but how much is 1 cup of flour? I check out the conversion, is abt 110 gm per cup. Is this correct? Or can I use any size of cup for this? Eileen, Use cups that are meant for baking.